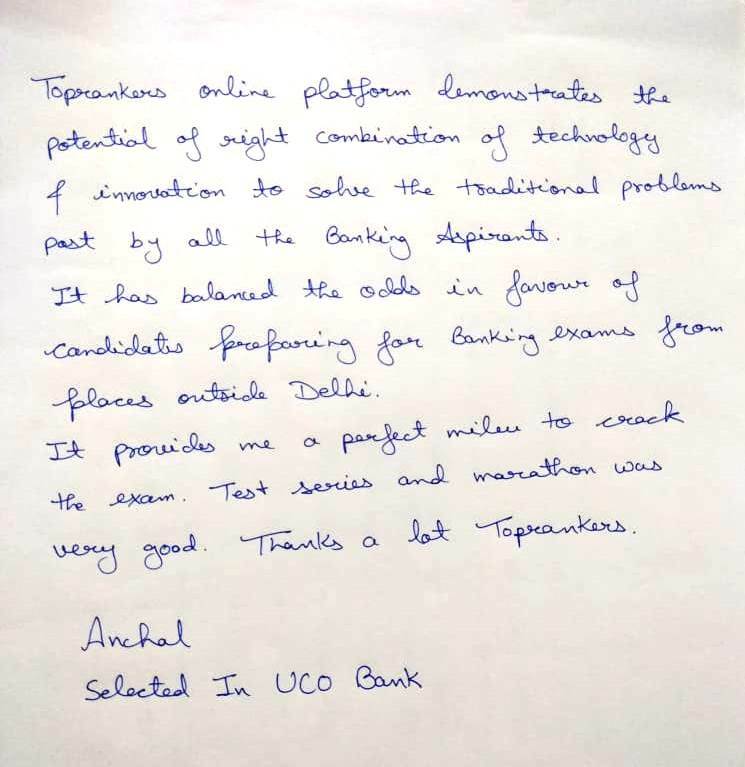 IBPS Clerk Prelims exam is the stepping stone to be a bank clerk in a reputed public sector bank in India. Find all the details of IBPS Clerk 2018 exam below. We have 558 more Quizzes on Bank & Insurance just for you! IBPS is governed by a board that includes nominees from government organizations such as the Reserve Bank of India, Ministry of Finance Government of India, Indian Institute of Technology Mumbai, Indian Institute of Banking and Finance, National Institute of Bank Management, Indian Banks' Association and the public sector banks. IBPS Clerk notification is released annually to select suitable candidates for clerical cadre in various participating banks under IBPS. The ongoing recruitment process for IBPS Clerks is the IBPS Clerk VIII for 2018-19. IBPS is your gateway to join any of the 21 banks that participate in the recruitment process. It is a wonderful opportunity for young and dynamic candidates. Get all the important details regarding the IBPS exam. We are providing the IBPS Clerk complete exam analysis for Prelims 2018. This will help the applicants to have an idea of the exam difficulty level, number of good attempts and therefore an estimate their scores. Besides, those having exam in the upcoming days or shifts can go through the analysis to have an idea of the exam and also know the questions asked in all shifts of IBPS Clerk Prelims Exam. Applicants must download the official IBPS Clerk Admit Card 2018 to appear for the exam. IBPS Clerk admit card for mains exam separately. The IBPS Clerk Mains call letter has been released on 5th January 2018. The last date to download IBPS Clerk admit card is 20th January 2018. Click on the direct link given above or visit the official IBPS website. Why I am unable to download IBPS Clerk Mains admit card? IBPS has released the recruitment notification for Common Written Process for Clerical Cadre (VIII) 2018 on 14th September 2018. The advertisement contains information on number of vacancies, application timeline, application process, and selection procedure. We have updated all the information on IBPS Clerk Recruitment 2018. You can also go through our video on the IBPS Clerk Notification and Check details on the changed exam pattern. IBPS Clerk PET call letter will help you know the exam pattern and how to take online examination. It is intended for those candidates who are not much familiar with the online examination process.The main purpose of Pre-exam Training is to give training facilities to improve the abilities of under privilege candidates. The cost of training should be borne by the candidates. Find detailed steps on how to download pre-exam training call letter in our article IBPS Clerk pre-exam training call letter. The application link is closed now. Here are the steps to apply online. Visit the official website link of IBPS which is ibps.in. Click on CWE clerical. And click on Common Written Examination for clerical cadre VIII. Click on the link “Click here to apply online for CWE Clerical VIII”. Provide your basic information to register for the exam. You will receive a provisional registration number and system generated password post successful registration. You need to carefully fill in the application form of IBPS Clerk 2019-20. Click on “Save and Next” post verifying all the details provided by you. When you click on the FINAL SUBMIT button, you won’t be able to make any changes. Upload your photo and signature in the prescribed format. Mention the state you wish to apply for. After submitted the details, no further changes can be need. Make the payment online and keep a printout of the e-receipt and online application for future reference. You can make a payment via credit card/debit card/net banking. Candidates need have a graduation degree from a recognized College/University. He/ She must also have a good computer operating knowledge. Proficiency in the Official Language of the State/UT . Candidate must be a citizen of India or refugees from Bangladesh, Nepal and Bhutan might apply if they have an intention of permanently settling in India. Phase I – Prelims - Common written exam (online) - This will be eliminating stage. The marks obtained will not be added in the final result. Phase II - Mains - Common written exam (online) - Candidates need to pass the mains exam and achieve the required minimum cut off marks. The Final Selection depends on the marks obtained in the IBPS Clerk mains exam. There will be no interview. IBPS Clerk Provisional Allotment depends upon the preferences given by candidates. IBPS will allot the banks to candidates based the merit list and their selected bank preference. After the provisional allotment process is over, the responsibility of providing joining letter and document submission is taken care by the respective banks. A clerk acts as a first point of contact for any inquiries & guidance to bank customers. He performs various tasks such as account opening, daily transaction and document verification. The basic pay of an IBPS Clerk ranges from Rs 11,765 – Rs 42,020. Furthermore, there are certain allowances and special pays included in the salary of IBPS Clerk. The average in-hand salary of IBPS Clerk is about Rs. 19,000 to Rs. 21,000 approximately. To know more details about job profile, salary and career path, read our article IBPS Clerk Salary and Job Profile. Initially, the candidate will be given the post of a Bank Clerk. After 2 or 3 years of experience, they will be promoted as Probationary Officer. The next level will be Assistant Manager. Then, they have the opportunity to rise to Chief Manager. With more years of experience and skill, there is a chance to get promoted to senior management level i.e. Assistant General Manager --> Deputy General Manager --> Manager. IBPS Clerk Prelims examination consists of 3 sections carrying a total of 100 marks. There is a negative marking of 0.25 or 1/4th marks for every wrong answer. You should note that this year IBPS has included the feature of sectional timing in the prelims exam. For each section you will be allotted 20 mins to complete that. On clearing the prelims, you will be through the next round i.e mains exam. The mains will have 190 questions from Reasoning & Computer Aptitude, English, Quantitative Aptitude and General Awareness section for a total of 200 marks.There will be a negative marking of 0.25 or 1/4th marks for each wrong attempt. Knowledge of the syllabus makes the process of preparation easier. One must know the complete IBPS Clerk syllabus and important topics before starting the preparation starting the preparation. IBPS Clerk syllabus includes Quant, Reasoning, Computer, English and General Awareness with respect to Banking. To know complete IBPS Clerk syllabus, read this article on IBPS Clerk Syllabus . In order to crack the IBPS Clerk 2018 exam, you need a solid preparation strategy. The preparation plan should be made keeping in mind the latest exam syllabus and pattern. The preparation for each section of IBPS clerk should be made as per the difficulty level and you should regularly follow the plan. Also, take mock test and solve as many sample papers to aid your preparation. After giving the exam, Aspirants want to know about cut off marks. IBPS will decide the cut off marks based on total number of applicants, actual number of candidates appeared, difficulty of the paper and various other factors. The cut off for IBPS Clerk will be released separately for prelims and mains. There will be no sectional cut off this year. You can check IBPS Clerk previous year cut off to get an idea of the past papers. The result will decide whether you are eligible to appear for the next phase of selection process. Those who qualify in IBPS clerk prelims result 2018 will be called for mains exam. The final result will be based on the marks obtained in mains exam. The score card will mention the aggregate marks out of 100 after normalizing the marks of prelims and mains. This score card will be used for preparing the merit list. IBPS will not release official answer keys. But you can find IBPS clerk answer keys from various sources. IBPS Clerk answer keys will provide correct solution to each set of question paper. Through answer keys, you can get an idea of your marks. What is the number of attempts available for IBPS Clerk? There is no limit on the number of attempts. You can attempt the exam if age limit criteria is fulfilled. Will there be any interview for IBPS Clerk exam? There will be no interview in IBPS Clerk. You need to qualify the preliminary and mains exam . A language proficiency test will be conducted by the participating banks to check the regional language knowledge of the aspirants. Once you clear all the rounds, there will be document verification. Is there any chance of increase in IBPS Clerk Vacancy? IBPS has released 7275 vacancies for the post of Clerk or Junior Associate 2018. These are tentative vacancies and depending on the requirements, the vacancies may be increased. Are Final year students pursuing graduation eligible to apply for IBPS Clerk exam? As per the official IBPS Clerk notification, the educational qualification is graduation from a recognized university/board. So, Final year candidates can apply only in case if the result is declared before the mentioned date. Is there any percentage criteria for IBPS Clerk 2018 exam? There is no percentage criteria for IBPS Clerk. A candidate need to just pass the qualifying examination to be eligible to apply. In a staff room, there are four racks with 10 boxes of chalk-stick. In a given day, 10 boxes of chalk stick is in use. What is the fraction remains in the rack? How much space would a 30 Cup shelf require if a 12 shell cupboard requires 18 ft. of wall space?.